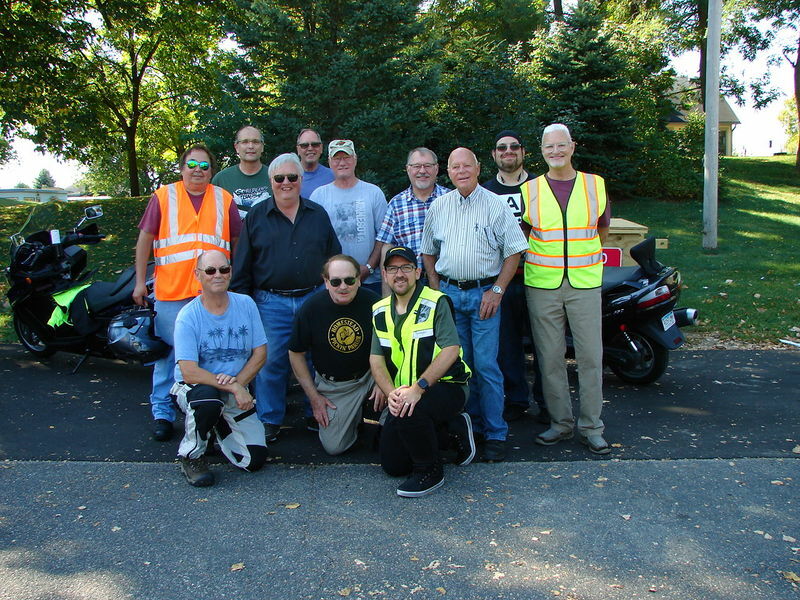 group has an annual ride to commemorate the event. It is hard to describe. The ride has turned into thousands of Harley Davidson riders. Our ride was on the same weekend. You literally needed ear plugs from the roar of those Harley bikes. 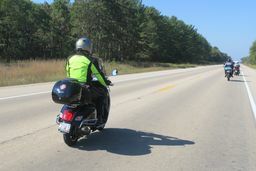 We planned our ride into beautiful SW Wisconsin to be moving in the opposite direction of the ride. We would pass bars with 50-100 Harleys parked outside. Beside the horrible noise, it was kind of exciting. the Detox Bar and Grill in Arcadia Wisconsin. Great ride, great day. So how did the detox work out? Complete failure with this group. We went back roads to the rally in Sparta. Next to the Detox bar, our lunch stop, was a laundry. I stripped off all my cloths and put them in the driers. I walked over to the detox in some dry underwear out of my bag for lunch. I then retrieved my dry cloths and proceeded to Sparta. TMI, TMI! I hope there weren't any cameras! Good fun, thanks for sharing!